Did you know that 80 percent of what we feel as adults came from the minor and sometimes major injuries we sustained from childhood? We can usually trace that major accident back to when we fell out of the tree on our shoulder or that time we rode our bicycle into a parked car (you can insert pretty much any major accident here), and then 20 years later say, "Why does my arm/back/ankle hurt so much? You don't suppose it was from that accident back in 1987 do you?" You think that sounds silly, but scar tissue builds up over time and it doesn't matter how old or how young the individual is. If we injure ourselves, our body will do all it can to get out of pain and NOT worry about the problem. Unless we actually SEE the injury and the extent, we usually tell our kiddos to be strong, and shake it off (we do this all the time). However, what if they continue to hurt from that fall down the few steps, or bump on their head from falling backwards? Rule of thumb, if your kiddo is complaining of pain longer than a couple of days (2-3 days not 2-3 weeks), get them in to see us for an evaluation. If you see them go through a mini-trauma (falling off the bed, jumping off the curb and doing a faceplant?etc), get them in here for an evaluation and a quick musculoskeletal check-up. There is no cost, and if there is something going on, we will let you know what needs to be done. 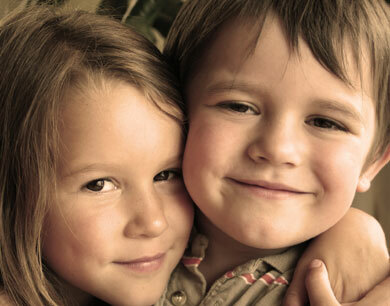 Mom and Dad, we have an office devoted to ensuring you and your child get the best care possible. There are many gentle ways we can approach correction of an injury, and we will find the best way possible for you and your kiddos. Technology has advanced quite a bit, and if you fear for your little one's tiny little bones, we understand. We have a 3 year old and a 16 month old, and the last thing we want to see is someone "adjusting" their spine or arms/legs without really knowing what's going on. We assure you that your comfort levels are extremely important to all of us here at Fusion. With over six years of treating kiddos with ADHD, autism, earaches, allergies, asthma, elbow pain, shoulder pain, hip pain, torticollis, neck pain, back pain, and a slew of sports-related injuries, our results have been phenomenal. Ever know an athlete that pulls a hamstring one season, and then pulls it again, and again? Same thing goes with a sprained ankle, or sore shoulder, or...etc. This list is endless because we see it all the time. What are we doing to our children when they're 25 and still complaining of back pain, headaches, allergies, shoulder pain, and hip pain that they had when they were 8 but never got it properly checked & corrected? The consultation is free. Our desire is to make sure that the entire family experiences the best health possible. Our kids deserve the best chances for a healthy adulthood, and it all starts now!